About | ALFASPED LOGISTIK s.r.o. The mission of our company is to provide our customers with high-quality logistic services, perfectly tailored to their needs and wishes. Customers' satisfaction and loyalty is our utmost motivation and reward for the services we provide. 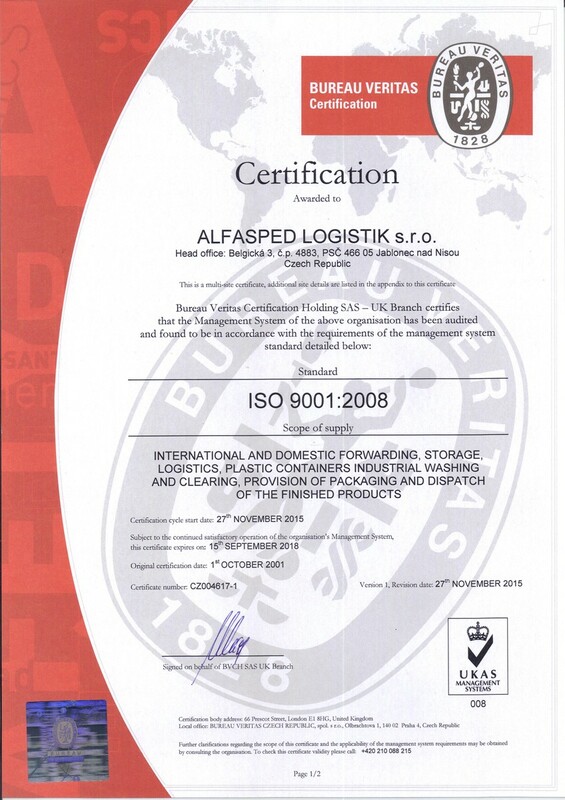 ALFASPED LOGISTIK s.r.o. received the ISO 9001:2008 certification in every area of its business, i.e. international and domestic forwarding, warehousing, logistics, industry washing and cleaning of plastic circulating containers, packaging and final goods dispatch.